This is the acceptable time; the acceptable time to deepen our experience of God and of our inmost selves. It is the time to allow God to help us to come to Easter in even deeper relationship than when Lent started. All of us enter into Lent acknowledging and accepting who we are while preparing to become more, because that is what God empowers us to be: MORE. To become more. Was that what the Father was asking of his son in the Garden of Gethsemane? 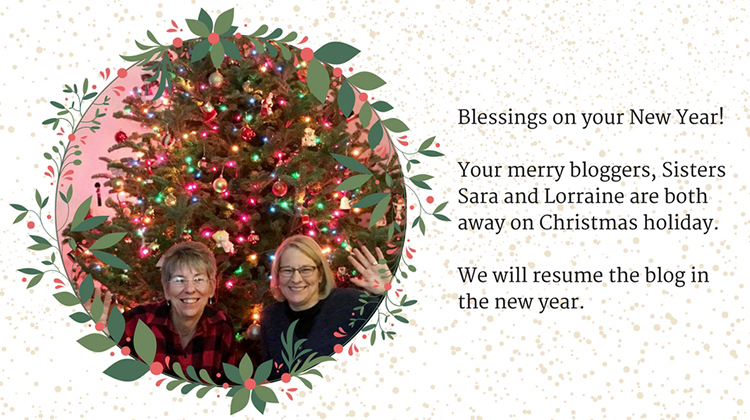 “My soul is sorrowful unto death.” God, it’s been a lonely year: transition, health problems, friends and family members dying, lack of civility in our society, family issues. What is the MORE God asks of us? A variety of prayer experiences will provide us with different ways to respond to Jesus: the silent contemplative prayer, the Stations of the Cross, the various liturgies and expressions of spirituality. Journal and observe how you were with God or how you weren’t. Record what you notice. Do You Believe in God? Really? 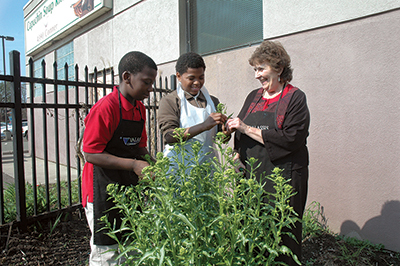 Sister Nancyann Turner, OP, gardening with two students involved in the Rosa Parks Children and Youth Program at Capuchin Soup Kitchen in Detroit, Michigan. Last Friday afternoon, a distraught mother sort of pushed her 8-year-old daughter into my office so that I could talk with her. The little girl, Alice, had a crumbled paper indicating that she had already served a one day “in-school” suspension and now had just been served a one day “out of school” suspension for outbursts, defiance, and talking back. I asked Alice to tell me all that had happened. She pretty much agreed that she explodes, has outbursts, and often has great trouble controlling her behavior. We talked briefly about how important it is to think before reacting and screaming angry words. She told me that my previous idea of counting to ten just didn’t work for her; did I have any other ideas? I mentioned that sometimes I take some deep breaths or I ask God to help me calm down. Alice seemed startled at my answer and asked if I really believed in God. I assured her that I did. She, then, related to me that she wasn’t sure yet if there really was a God; she was still trying to decide that. We talked a few more minutes and she asked about the devil. “My brother says I have the devil in me…in my heart. Do you think I do?” Naturally, I disagreed. After a few minutes, she seemed quite satisfied with these thoughts and thanked me for our conversation. Our theology and spiritual life session was finished. And I renewed my belief in God. How do you experience the great power of Love in your life? What actions result when you put your belief in God into action? This question can give a different perspective on discernment. 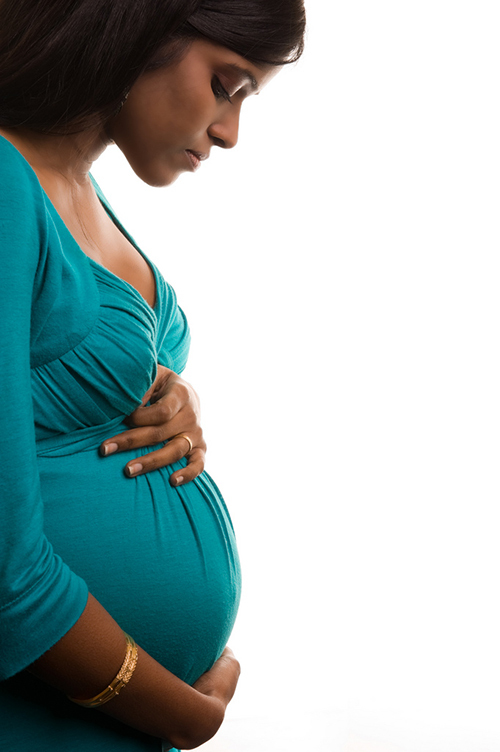 How am I called to give birth to God in the little acts I do this day? Every interaction we have, the way we treat people we encounter at the store, on the road, in our homes – all of these can help give birth to God in our midst, or not. The question really fits well when we are discerning the larger life choices: Will this job help me to bring God to birth in our city, our neighborhood? Is the relationship I am in witnessing to God’s love in the world and helping to share that love? Is the path I am on for my life the way I can best give birth to God with my life? Take a look at your life this day and ask yourself how you are helping God to be born. They may come to us in prayer, in an inspiration, even in a dream. They may come to us in our youth, young adulthood, or wisdom years. They come in ordinary, seemingly insignificant moments, but if we are attentive to the promptings of our hearts we will be given the insight to recognize them. And they may be presented to us by a person or event that attracts us and beckons us in some way, and which we may push aside as coincidence or chance. I like to call these the “had it not been for…” moments. These people or events can be the instruments of God’s invitation, messengers, if you will, who are filled with God’s presence and understand what it means to be used as disciples. As followers of Jesus we have all had our “had it not been for…” moments when we have heard God’s call. These are stories of trust in our ever-faithful God who continues to call us. What are some of your “had it not been for…” stories? What is happening in your life right now that seems to have God written all over it? May you listen and be attentive to the promptings of your hearts. Why Be a Dominican? 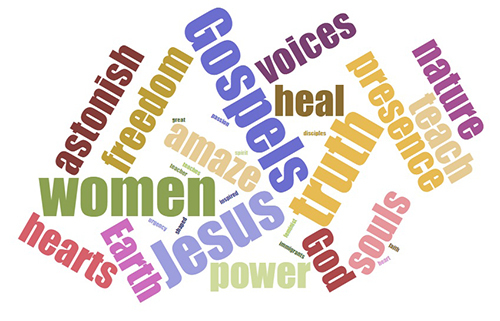 What Does Speaking Truth Mean Today? I would like to share a reflection written by Sister Antonette Lumbang, OP, a Dominican Sister of Adrian who lives and ministers in the Philippines. Surrounded by violent political upheaval and cataclysmic natural disasters around the world, now, more than ever, I feel grateful for the gift of my Dominican vocation. Being Dominican nurtures my sense of hope while confronted with the daunting present. It gives me the lens to view what's happening in the world, good or bad, with deeper faith in the transcendent One whose love for all goes beyond what is imaginable. To live in hope means getting up each morning ready to face what today brings. It is looking at our problems square in the face, to search for the truth that could ultimately lead to the answers we have been praying for. One Dominican motto is "to contemplate and give to others the fruit of our contemplation.” Somehow, it encapsulates neatly the flow of our life which relies heavily on prayer, our personal connection with God, that permeates our relationships with our neighbors and the rest of the world. As Dominicans, our contemplation is enriched by the daily experiences of our encounter with the people. What we bring to God in prayer are real stories of struggles, frustrations, and joys. In return, though unrecognizable at times, prayer gives us strength, reassurance and renewed hope for a more promising future. "Prayer" is not isolated to the divine realm, it is a strong link to the life of the people who are largely responsible for what actually happens in the society. Our prayer moves us to act with kindness, respond in love, facilitate healing, be just in our dealings and raise our voices against injustices. As Dominicans, we do not subscribe to prayer being used as a recourse to inaction. Rather, it directs us to remain involved and be strong advocates of justice, love, and peace in our respective realities. To be a Dominican is a gift but at the same time a challenge. The challenge is to emulate our founder, Brother Dominic, a preacher of truth, in this present age. Today, much of that truth is shrouded with politicking, selfish accumulation of profit, and the pursuit of vainglory. I realized that the first task is always to seek the truth to be preached. And this is no mean feat. Speaking the truth today entails tedious study beyond the pages of books to reading the signs of the times. It calls for discernment, setting aside personal prejudices, and finally, finding the courage to "speak your mind even when your voice shakes" (Maggie Kuhn). It can mean raising your voice against the deafening stillness of passivity and indifference. For some of us, it is going against a wrong masquerading as right due to majority support. At times, speaking truth is having the humility to admit your mistake when it dawns that you arrived at a wrong conclusion. 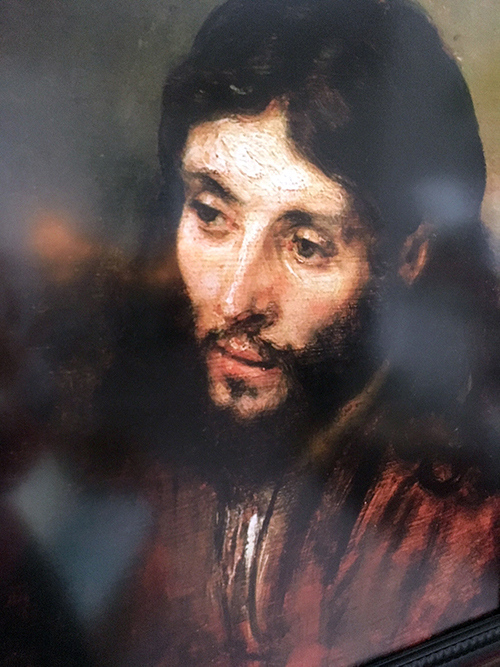 Whichever it may be, our prayer at the start and end of each day is that through it all, we let the Spirit guide and unite us with Jesus – our way, truth, and life. Sister Sara’s recent post regarding tools for discernment, in which she shares some creative ways to access our thoughts, feelings, and intuitions when making a decision reminded me a bit of the at-first-glance wacky advice my college roommate once gave a friend. It involved flipping a coin – sort of. Here’s the story: one afternoon my roommate and I met with a friend who worked at our college. She confided in us that she had a dilemma. Another staff person, who was an eligible bachelor (I’ll call him Dave), had invited her to go to a dinner meeting with him that night. However, she already had a date planned with her current boyfriend (let’s call him Tom). Well, long story short, my roommate and I went off to dinner and left our friend to think about whether or not to take Dave up on his invitation. Afterward, on our way back to our dorm, as we walked past our friend’s office, there she was, coming out the door … with Dave. Eventually, she and Dave got married, and the last time I saw her, they were still happily so. So, what’s the lesson here when it comes to discernment? 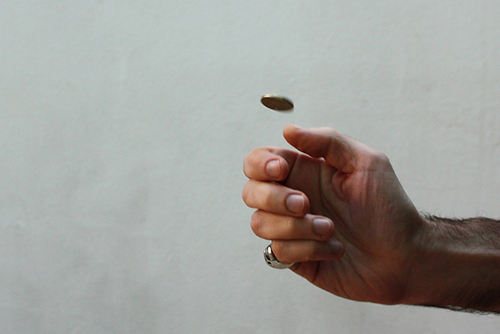 Find creative ways, like flipping a coin, to key into your true feelings and deeper intuitions about the decision before you. May your decision lead you to the fullness of life that God so desires for you. Whether you do as Cathy Arnold suggests and live “as if” for a time, or whether you flip that coin to force a focus on one side of the issue over the other side, do it, see how it feels … and then trust your gut. 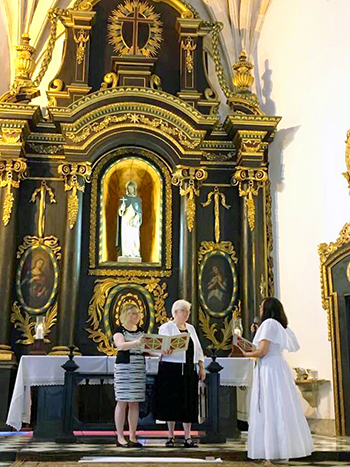 I said “yes” – Dije “si” – that is what Sister Xiomara put on her Facebook post after her final profession, and say “yes” she did! She was filled with joy and reverence and grace as she gave her whole life to God through the Adrian Dominican Congregation. We live in a culture that discourages long commitments. We get the message that commitments take away our freedom, but the opposite is really true. In fully committing to something we are able to give our whole selves and be who God calls us to be. “I want to keep all my options open,” some say. But for how long? While it’s true that we do not want to rush into poor decisions and make drastic life choices at a young age, we can sometimes wait so long that we lose the chance to do that which would give us life. For someone called to marriage, it would be a shame to turn eighty and still be waiting for someone better to come along! Sometimes we take that leap and say “yes” even when everything is not sure – because it never is. We cannot know the future, but we can be sure that Emmanuel – God with us – is always there on this journey of life. More than simply making a decision, spiritual discernment is decision-making that is rooted in self-knowledge as well as a deep awareness of God’s loving presence and action in our lives. Because we know God as our creator and redeemer, we lean on that graced friendship with God to help us make a good and life-giving decision. 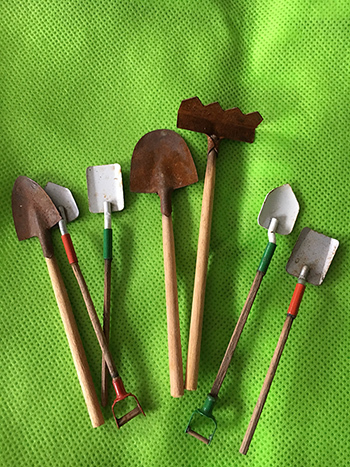 There are many tried-and-true tools that help us prepare the soil for a fruitful discernment process. First, we need to define prayerfully the issue for discernment. It is helpful to focus our issue carefully enough to be able to state it in the form of a question that can be answered yes or no. So for example, rather than ask a more general question like, “What shall I do with my life?” we can fine-tune the question to ask something more specific like, “Will I apply to become a sister with the Adrian Dominicans?” Once the decision before us is well defined, we need to apply the tool of fact-finding. What kinds of relevant data do we need in order to make an informed decision? Once all of the facts are gathered, we can begin to assess and evaluate the data. In this process, we stay attentive to all of the thoughts and feelings that arise as we consider the different dimensions of our decision. The tool of journal keeping is helpful here. 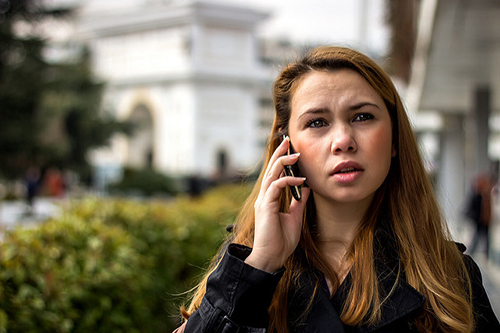 Another handy tool in the toolbox of discernment is dialogue with others. We need to share the different aspects of our decision with the wisdom figures in our life, those who know us well and care deeply about our well-being. Equally important is the tool of solitude, where we invite God into our decision-making process. We need to confide in God our hopes, dreams, expectations, doubts, and fears. We then listen carefully to how God responds to us. A good spiritual director can help us in this discernment process. Dominican Sister Cathy Arnold shared a useful tool of imagination that she used in discerning her call to religious life. Her spiritual director advised her to imagine herself in each choice for two weeks. 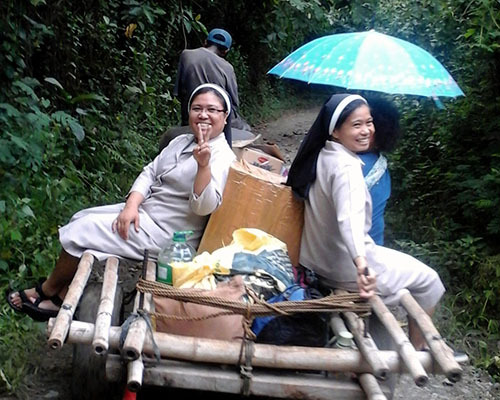 So for two weeks, she lived as if she had made the decision to become a Dominican Sister. She reflected on how she felt when she woke up in the morning. What were her thoughts and feelings throughout the two weeks? Then she reversed the process and lived as if she had made the opposite decision. How did she feel? Was she relieved or devastated by the change? 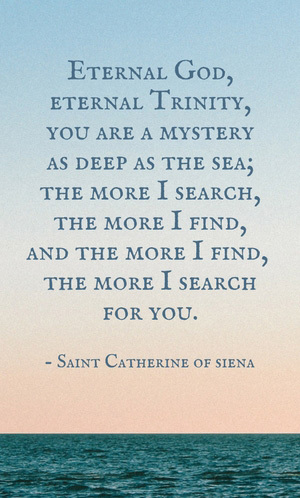 Click on the following link to hear Sister Cathy’s discussion on discernment: https://www.youtube.com/watch?v=WwWPM4QtGwY. Finally, how do we know that our choice represents God’s deepest desires for us? Signs of validation include feelings of inner peace and joy with our decision, as well as the confirmation of the others who have shared in our discernment process. Are you discerning an important life decision? What are your tools for the discernment process?